Scintimammography is a type of noninvasive breast imaging assessment that is used to detect cancer cells in the breasts of some women, who have had abnormal mammograms, or who have dense breast tissue. 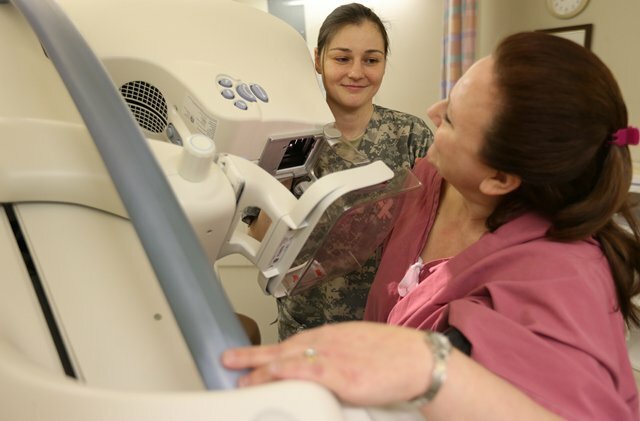 However, it is not used to screen women for breast cancer, or as a replacement to a mammogram. A Scintimammography procedure involves the human breasts. Why is the Scintimammography radiology procedure Performed? Scintimammography machines use high-resolution gamma cameras that are placed next to the breast, similar to a mammogram. The machine looks very similar to the machines used in mammography. Currently, there are no recent advances to replace the Scintimammography procedure. What is the Cost of performing the Scintimammography radiology procedure? The cost of the Scintimammography procedure depends on a variety of factors, such as the type of your health insurance, annual deductibles, co-pay requirements, out-of-network and in-network of your healthcare providers and healthcare facilities. How does the Scintimammography radiology procedure work? How is the Procedure Scintimammography radiology procedure Performed? A Scintimammography procedure is performed as an outpatient procedure, at the hospital. A radiologist or a physician with nuclear medicine training, performs from the Scintimammography procedure. A Scintimammography procedure takes anywhere between 45-60 minutes to perform. A physician will request your consent for a Scintimammography procedure using an Informed Consent Form. What are the Limitations of the Scintimammography radiology procedure? What is the Scintimammography procedure? What is to be expected during the Scintimammography radiology procedure? The patient is administered either general or local anesthesia, for the Scintimammography procedure. There is no blood loss involved, during a Scintimammography procedure. What are the possible Risks and Complications during the Scintimammography radiology procedure? What Post-Operative Care is needed at the Healthcare Facility after the Scintimammography radiology procedure? What is to be expected after the Scintimammography radiology procedure? What Post-Operative Care is needed at Home after the Scintimammography radiology procedure? The patient should recover fully within 24 hours and be able to resume their normal/routine activities, after the Scintimammography procedure. No tissue is extracted from the patient during a Scintimammography procedure. Who will you receive a Bill from, after the Scintimammography radiology procedure? The patient is advised to inquire and confirm the type of billing, before the Scintimammography procedure is performed.